Spring is here, and most people think of spring cleaning to include closets, drawers and maybe even a detox plan for the body! Athletes have plenty of training clothes that should go, and they probably have plenty of bars, snacks and junky foods that should also go right in the trash! 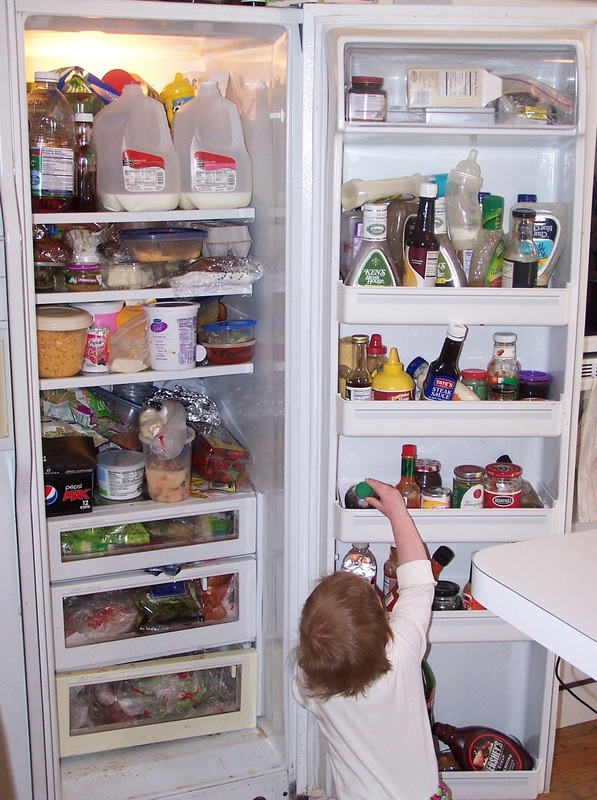 The spring is a good time to clean out the pantry and/or the refrigerator. Here are a few things to consider to help you start. Start with one shelf in the pantry or refrigerator. This will help keep the task from being overwhelming. We find lots of things that might be tasty, but not so healthy for you. I would not recommend throwing everything out and buy all new. This might work well for some, but most of you won’t know what to buy (although your nutritionist will go grocery shopping with you so you can stock up on healthy items! I do provide that service with my clients) and it can be too much of a shock to the system, let alone your grocery bill! First you want to look at processed foods and start reading the labels. The nutrition facts are all nice to look at but the real place to look is the ingredients list. Some things may say they are healthy on the package (marketing at its best! ), but the real food is tainted with chemicals, preservatives and artificial sweeteners or flavorings. You are left with something that is no longer food. What ingredients should athletes avoid and replace? Start with sugar, high fructose corn syrup (HFCS). Then preservatives and artificial sweeteners (sucralose, aspartame, acesulfame K, etc). We can add artificial colors later. Check those bars and drink powders for training or recovery, as they may have more sugar than you need for training or recovery! Bars should be just fruit or oats and nuts. Maybe flax seeds. You will also want to check salad dressings or anything lowfat or non-fat. Dressings should not have sugar in them or anything but olive oil. Lowfat or nonfat items typically add more additional non-food items to create fat mouth feel – just stick with full fat versions, but the right kind of fat. This goes for those butter replacements – just use real grass fed butter. Then work on eliminating hydrogenated fats also referred to as trans fats. Who doesn’t like non-dairy creamers like Coffee Mate in their coffee? I know I loved it when the pumpkin spice creamers came out in the fall! The non-dairy creamers have those trans fats and high fructose corn syrup in them which increase inflammation (everything will hurt more and you will gain a muffin top or not lose fat). Not a good combo. I wrote a blog on that a few years back. Replace that creamer with seasonings like pumpkin spice, vanilla or cinnamon, then add honey or maple syrup. Replace the ‘cream’ with a non-dairy milk (almond, coconut or hemp are my preferences) or go without. This is what I did several years ago and now honey is enough. Once you go through all the processed foods, then review your dairy, eggs, meats, fish, etc. You want to replace your dairy with grass-fed organic versions, or a non-dairy milk as mentioned above. With cheese, switch to raw or organic cheese, or try goat or sheep cheese as an alternative. With ice cream, make sure you don’t have HFCS, inflammatory sugar, preservatives or artificial sweeteners. If you cannot pronounce it, you probably should not eat it. If it sounds like a chemical, you should probably not eat it. The ingredients should be real food options. Start buying free-range organic eggs as well as chicken or turkey. If you can find a local farmer, even better! Meats should be grass fed or wild – this would include grass-fed beef, venison and buffalo. With fish, you want to choose wild fish over the farm raised. Try to get wild caught salmon and tuna even in cans, and avoid the ones in oils other than olive oil. The other oils are cheaper, but not worth it health wise. Once you have done the refrigerator, then it will be time for the pantry in the same way. Switch from Jiff or Skippy to natural peanut, almond or cashew butter without the hydrogenated fats or corn syrup. Just nuts! Same with cereal – go with unsweetened and add your own honey or maple syrup in place of the sugar. Instead of Raisin Bran that coats the raisins with more sugar, just eat Wheaties and add your own craisins or raisins. The hardest part of cleaning out the pantry is starting. It gets easier, I promise! If you struggle with this, then working with a nutrition expert may be the best spent money and time so you can know what alternatives there are to what you already have. Athletes need to clean out their closets, but they also need to clear out the pantry. Get the Detox Plan for Athletes eBook to get you started with a clean eating plan, shopping list and recipes. Happy Cleaning!